Barrier-shy Chautauqua will compete in a race day trial at Rosehill in an attempt to be reinstated to race. The former world’s best sprinter has failed six times to jump out of the gates in official trials. After considering submissions from connections represented by Rupert Legh, Racing NSW stewards will give him the chance on Saturday between races. 1. The gelding has been placed under the care of a well-respected thoroughbred behaviourist and has responded well to his methods. 2. 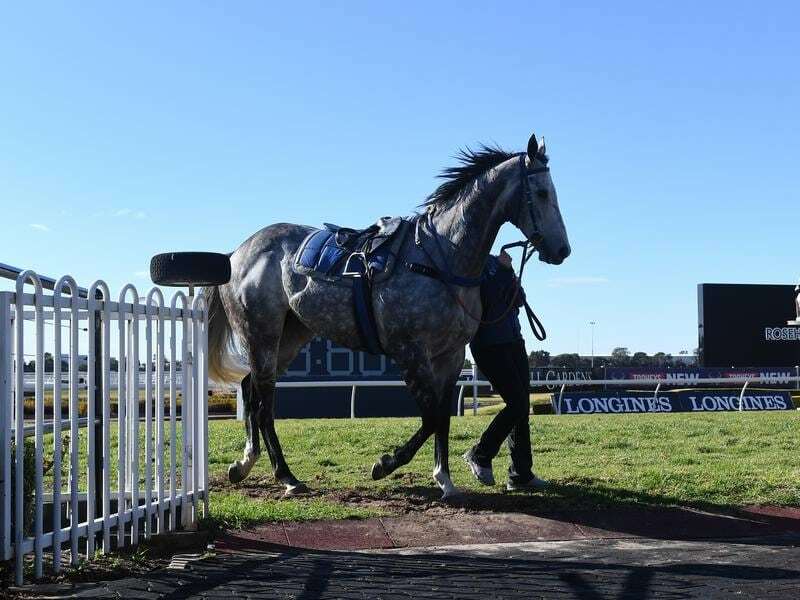 The Stewards have received evidence of Chautauqua on 16, 17, 20 and 21 August 2018 completing a number of jump-outs conducted at Rosehill whereby he jumped satisfactory on all occasions, including before Australian Turf Club starter Dale Jeffs on Tuesday morning. 3. An application was made to allow Chautauqua to compete in an official barrier trial to be conducted between races at Rosehill on Saturday to simulate race day conditions. 1. Chautauqua will be required to barrier trial to the satisfaction of the stewards in two consecutive official barrier trials prior to being given permission to race again. 2. Should the gelding refuse to jump from the barriers in any of those official barrier trials, then Racing NSW stewards would refuse the nominations of the gelding from barrier trials and races under the provisions of Australian Rule 50. In allowing Chautauqua to trial again, stewards said they were mindful of the submissions made by connections and encouraged by the gelding satisfactorily jumping from the barriers in numerous jump-outs. They said they were conscious of providing every opportunity to the connections of Chautauqua to enable the gelding to return to racing and are satisfied on the available evidence his recent failures to begin from the barriers are related to behavioural issues and not a veterinary condition. The 1000m-trial will be held between races three and four and nominations will close at 1pm on Wednesday with the field restricted to eight runners.